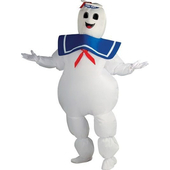 Ghostbuster Costume includes a beige jumpsuit, which fastens at the front by zip. 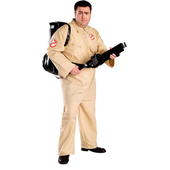 Jumpsuit comes with collar and colour Ghostbusters logo on right upper-sleeve and also above left breast pocket. 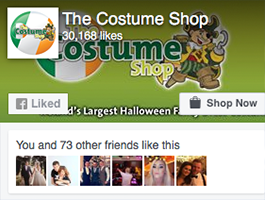 The inflatable proton pack comes with shoulder and waist straps and fasten with plastic buckles. The gun attaches to the backpack via Velcro. 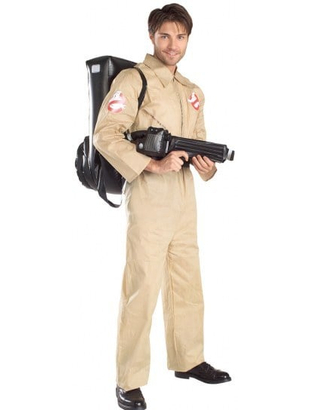 For extra value, the proton pack comes with a puncture repair patch in case of emergency.